So basically, the results reflect what I expected. 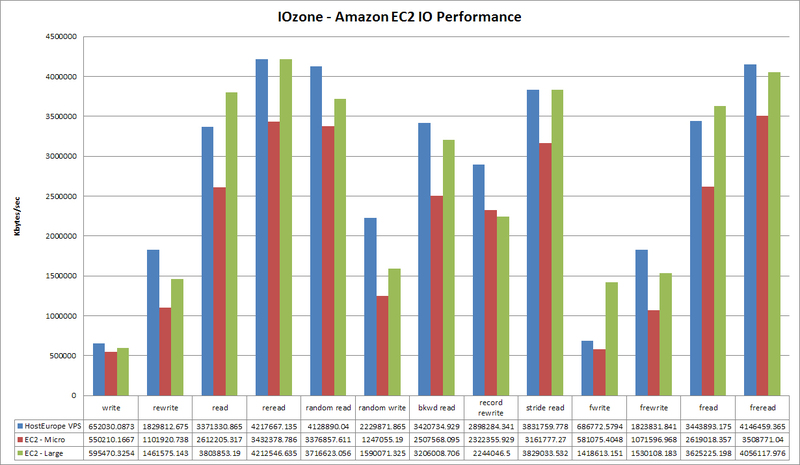 The EC2 “Large” instance nearly reached the same IO performance as a HostEurope Virtual Server with a RAID10 setup. 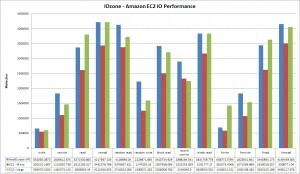 However, the IO performance of the smaller “Micro” instance only reached about 80% of the “Large” instance. I will have to investigate further to decide if I want to use Amazon EC2 for hosting my website or if I will keep my current Virtual Server. Feel free to use the results of my tests for your own evaluations.